This blog was guest-written by Ana Giovanetti. The blog’s original full title is: How conservation grazing through rangeland management can restore grassland ecosystems and support biodiversity as well as meet the needs of people. Livestock use and pastoralism are broad and pressing topics, particularly when discussing the sustaining of wild areas. Protecting nature while supporting human needs can be a knife’s-edge balance and this requires key consideration of human needs and values in each and every initiative. To this day, pastoralism contributes to over 90% of meat and 50% of milk in East Africa. It is still a major part of African culture .But how is the savannah shared – and can we make room for both? On the face of it, the act of pastoralism would seem to naturally exclude wildlife – a competition for resources of sorts. But this denies an important part of Sub-Saharan history, where large grazers existed in incredible numbers. Interwoven with nomadic pastoralists, wild and domestic grazers responded heavily to resource availability. Grazers following rains, which then brought forage. In the Pleistocene era and for millions of years, an abundance of megafauna was an everyday feature of the land. 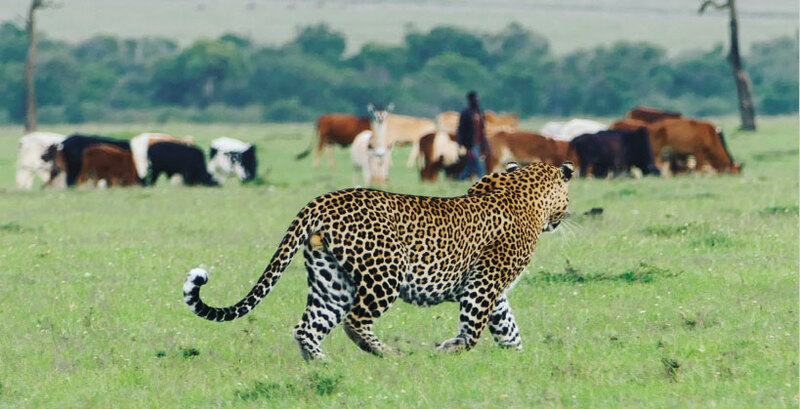 It is only in recent centuries the Earth’s witnessed a dramatic decline in herbivores, and this has had major implications for grassland ecology. You see, grasslands need grazers as much as grazers need grasslands. Large herbivores engineer ecosystems through important top-down effects that will later determine forage quality and availability. Un-grazed grasses become stale and trap soil nutrients in vegetative biomass. Herbivores prune stale growth and defecate nutrients back into the soil. They disperse seeds and disrupt the soil. This creates a perfect concoction for robust vegetation structure and diversity, which then controls for erosion and water run-off. It’s an important mechanism for survival through harsh transitions from wet to dry seasons. But grazers aren’t behaving like they once did. Upsurge of fencing and human urbanization means wild grazers can no longer react to resource availability like they once did. Similarly, nomadic pastoralist’s tribes in East Africa have now become sedentary and inhabit permanent settlements. An abundance of grazers now scatter across dry and wet seasons increasing pressure on the land. In Sub-Saharan Africa, this has had major implications, with desertification and a loss of real estate (productive land) at the forefront of concern. Longer dry seasons and shorter wet seasons only foreshadow socio-environmental challenges, historically, through violence and a further loss of resources, an almost inevitable outcome when the needs of people are not met. Within the grazing arena, numerous practices will determine degrading or regenerative effects – and there is a science for teasing them out. The regenerative grazing approach says livestock can be herded in a fashion that mimics the beneficial grazing, trampling, and nutrient recycling dynamics with which wild herders coevolved with grasslands. Dozens of farmers, ranchers and pastoralists from around the world describe how they are increasing the health of their land – the carrying capacity, biodiversity and overall profitability – while at the same time maintaining their traditions. Recent studies suggests this has great promise for ecological functioning, including plant growth and hydrology. In more current discovery, grasslands including prairies and savannahs hold enormous amount of carbon through the roots of perennial plants and bound in organic soil compounds for millennia. Peer-reviewed soil research has shown that regenerative grazing can sequester more carbon than continuous grazing. While this field is fairly recent, livestock grazing as the potential to help reverse desertification and restore carbon to the soil as a means of helping counter climate change. Yes, this field makes big promises for global ecosystem health, but for tribal communities, the implications are much simpler:profit, health, and tradition. Community based initiatives such as the Mara Training Center and Mara Beef, running alongside Wild Philanthropy’s partner Enonkishu, work with communities to implement regenerative grazing plans based off of in- field tested techniques. Specifically, in the Mara region, high intensity grazing with longer recovery periods aimed at restoring healthy soil and root systems. This approach holds enormous benefits for livelihood security through drought resistance, wildlife habitat, healthy food production and support for rural traditions. 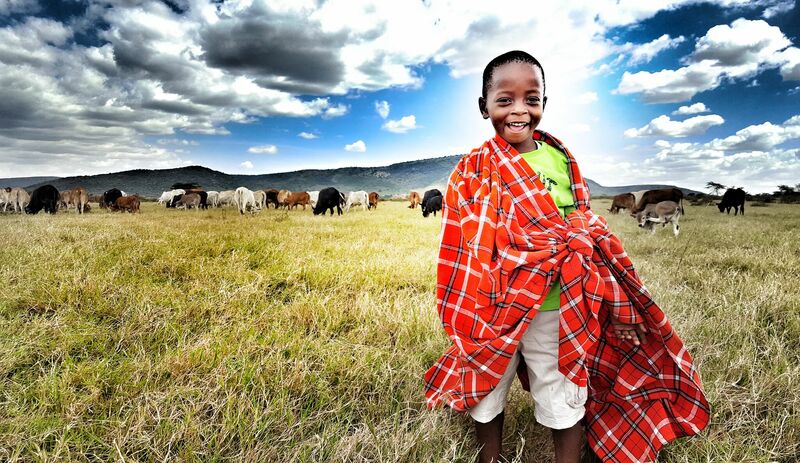 The Maasai have a saying: ‘one herd’, meaning a united community for the survival of each and everyone. This means a grazing plan where all can benefit from persisting resources. Investment into research, training and policy development that support grazing initiatives are a necessary way to ensure that like not long ago, there is plenty of graze to go around. Originally from Argentina, Ana holds a BSc from the University of British Columbia and is an MRes in Wildlife Conservation graduate from the University of Southampton where she lived in Kenya’s Maasai Mara investigating various grazing management techniques and their subsequent effects on herbivores, the vegetation and people.